Swimming pools are a popular amenity in hotels, apartment complexes and town recreation facilities, as they should be. After all swimming is a great exercise and the 4th most popular outdoor activity in the United States according to the US Census Bureau. Due to the popularity and risk, many state health departments require pools and hot tubs to be monitored, chemical levels checked and logged regularly. Depending on your location this can be once a day or even hourly. This can result in A LOT of paper logs, especially if you need to store them for 7 years required in some states. Side Note: If you are not storing your logs for multiple years, you should be. They are your only proof that your pool was properly maintained incase an incident happens. 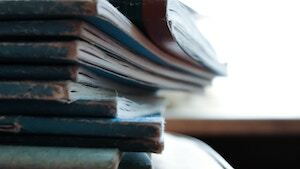 The upfront cost of paper pool logs may appear to be less expensive than electronic options until you start looking at the cost of paper handling, storage, reproducing the logs for health departments or corporate offices. Not to mention the back and forth of each log book and putting it back for each pool. A 2009 report from the Resource Information Systems Inc. estimated companies in the United States spend $8 billion a year moving paper around. Many electronic pool record systems also provide water analysis, eliminating time consuming math calculations and ensuring the chemical levels are correct. 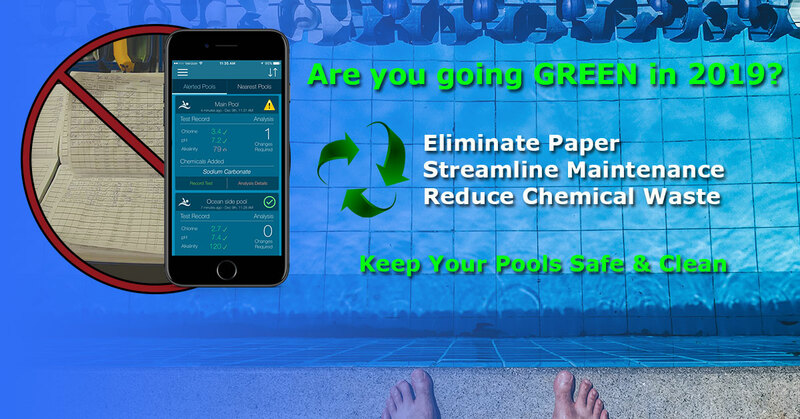 Whether you use a simple google docs form, or an online system like Pool Shark H2O, Digiquatics or Facility Manager™, electronic pool logs are a cost affective way of going green and helping to keep your pools and hot tubs clean and your guests safe. Which after all is what we should be aiming for!